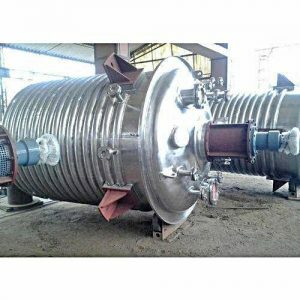 Abster Equipment designer and manufacturer of Reactors & Pressure Vessels custom made for Pharmaceuticals, chemicals, fertilizer, food, petro chemical and other allied industries. Abster Equipment designs and fabricates Pressure vessel & Reactor as per international codes & standards such as ASME, IS and SS etc. We are providing Reactor systems with external and internal coils for heating and cooling applications. quality of Pressure vessels & Reactors.